Hi everyone!! Sorry Tool Time is a day late. We've been on vacation this week. 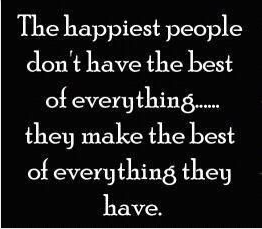 Not traveling anywhere, just catching up and spending time with the hubby and the girls! There will be lots of 4th of July celebrations tomorrow and picnics happening all summer long, so I thought I would share a quick tip to keep your outdoor tablecloths where they needs to be...on the table!! Nothing worse than having your tablecloth blowing away in the breeze taking the dishes and all the food with it. I bought this vinyl tablecloth at Walmart. Thought it would add a splash of color to a very "tan" patio!! Here is today's Tool Time tip...my very favorite Binder Clips. I circled the clips in this picture. You may need to buy the jumbo size binder clips, depending on the thickness of your outside table. Open up the clip, clamp it on the edge of the table and then fold back the clips, flat and out of the way. Add as many clips as needed along the edge of the table to keep your tablecloth on the table!! 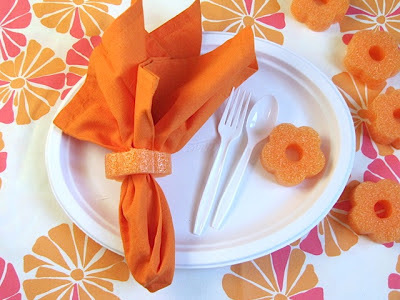 Don't forget to use your "pool noodle" napkin ring for more outdoor color!! You can click HERE for that post. You can also click HERE for an older post I did on using a curtain ring clip and a fishing weight to weigh down your table cloth corners. You know my love of binder clips, so you can click HERE for a few other posts and ideas. Since this post is labeled in binder clips, it will show up first in the list so scroll down for more. Все понятно без перевода, очень полезные идеи! Спасибо! I've tried the binder clips - they worked so well but I'll have to try the pool noodle napkin rings and I'd like to try the curtain clip and weight idea. The problem with finding this site is that I spend more time reading all these wonderful ideas than I do actually creating. My bad! Can't seem to locate any of our stores who carry the fancy flowered pool noodles! they only carry the round boring ones! Where did you find the pattern binder clips? Thanks for the tip :) Hope you have a Happy 4th! Love all of your ideas! You could also use the binder clips with bungee cords to pull the table cloth underneath to keep wind from getting under it.